01145101 Oki B4250 Printer - Refurbished with 3 months Return To Base Warranty & Working Consumables. 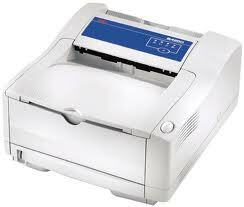 The Oki B4250 Printer is as good as buying new as all worn parts are replaced. This saves you up to 50% off the price of a brand new printer. We are confident that you will be 100% satisfied with your Oki B4250 Printer and are here to help with any support questions you may have. The Manufacturers part number/product code for this item is: 01145101. Keep business flowing smoothly with this supremely productive A4 mono printer. Perfect for very small workgroups and personal desktop applications, it produces an impressive 22 ppm with 16MB memory upgradeable to 272MB. Options include network capability, second input tray and multi-purpose feeder for different paper stock, making it a highly flexible and affordable printer for a multitude of printing tasks. Mono printing is the engine room of a smooth running business, the unsung hero with its head down powering through the workload. Business demands that we excel in all areas because they all impact together on the productivity of a business. As business specialists, Oki understands this and ensures our printers work the way good businesses work. Synergistically and therefore productively. Oki mono printers are built to perform with all class-leading attributes working together. They also work efficiently across all other areas that affect productivity. For example, what’s the point of a printer offering more pages per minute if you’re hanging around waiting for a slow processor or having to stop because its small memory keeps on becoming full? Likewise, greater memory and faster processing speed are of little use if you’re constantly refilling a paper tray with limited capacity. The B4250 is perfect for smaller workgroups and personal desktop applications, it produces an impressive 22 ppm with 16MB standard memory upgradeable to 272MB. Options include network capability, second input tray and multi-purpose feeder for different paper stock and less user intervention making it a highly flexible and affordable printer for a multitude of printing tasks. It’s another way of thinking in mono printing. • Oki Reliability for years of trouble free service.